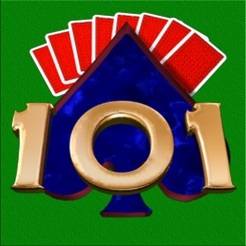 Goodsol Solitaire 101 is a solitaire game collection with 101 regular games and 34 bonus games, for a total of 135 different solitaire games. 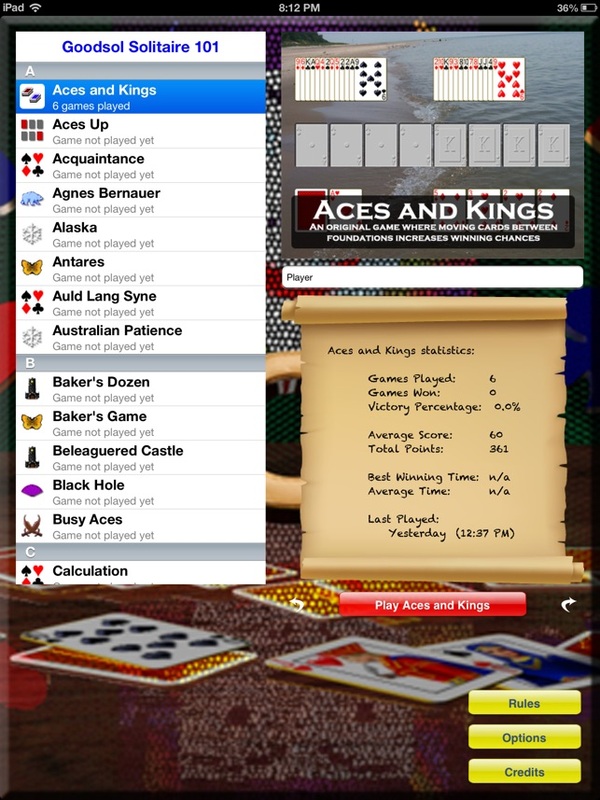 The games are Aces and Kings*, Aces Up, Acquaintance*, Agnes Bernauer, Alaska*, Antares*, Auld Lang Syne, Australian Patience*, Baker's Dozen, Baker's Game, Beleaguered Castle, Black Hole, Busy Aces, Calculation, Canfield, Clover Leaf*, Crazy Quilt, Cruel, Demons and Thieves*, Deuces, Double FreeCell, Double Klondike, Double Pyramid, Duke, Dutchess, Eagle Wing, EastHaven, Eight by Eight, Eight Off, Empress of Italy*, Fan, Fifteen Puzzle*, Fifteen Rush*, Five Piles, Flower Garden, ForeCell, Fortune's Favor, Forty Thieves, Four Seasons, Fours Up*, Fourteen Out, Free Fan*, FreeCell, Gaps, Gargantua, Gold Rush*, Golf, Great Wheel, Hypotenuse*, Indian Patience, Interchange, Josephine, King Albert, King Tut, Klondike, La Belle Lucie, Lady Jane*, Miss Milligan, Montana, Mount Olympus, Nestor, Number Ten, Osmosis, Patient Pairs, Penguin, Penta*, Perpetual Motion, Perseverance, Putt Putt, Pyramid, Quadruple Klondike, Rank and File, Red and Black, Rouge et Noir, Royal Family, Russian Solitaire, Scorpion, Sea Towers, Shamrocks, Simple Simon, Sir Tommy, Sixes and Sevens, Spider, Spider One Suit, Spider Two Suits, Spider Web*, Spiderette, St. Helena, Storehouse, Strategy, Tarantella*, Terrace, Thieves of Egypt*, Thirteens, Three Shuffles and a Draw, Three's Company*, Triple Klondike, Vertical, Virginia Reel, Will o the Wisp, and Yukon. 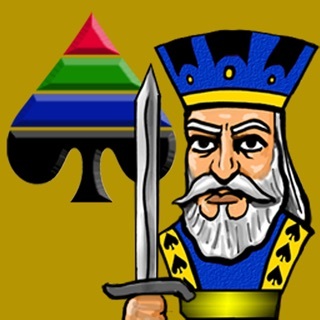 Goodsol Solitaire 101 is easy to play - just drag the cards or tap them to move them quickly. Our beautiful cards are designed to look like real cards but be easy to see. Undo any move or all your moves. 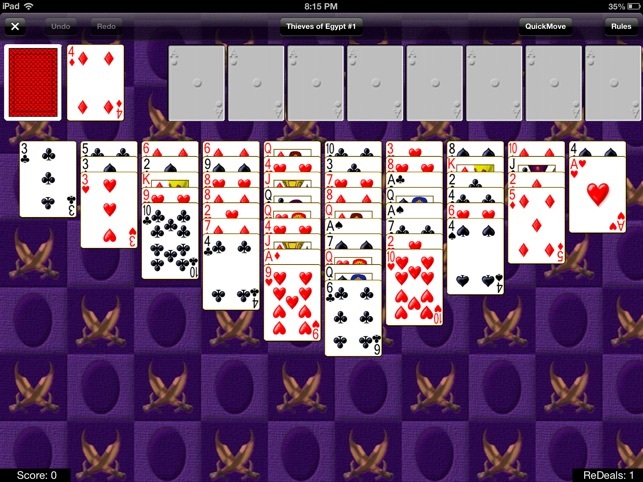 It automatically saves your games when you leave and you can continue playing when you return. The AutoPlay/QuickMove option can automatically play cards to the foundations for you. 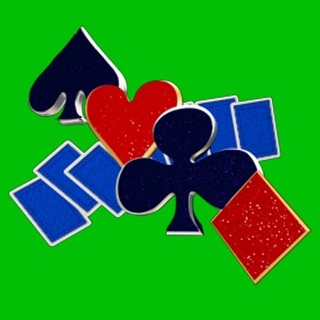 Pinch to make the cards smaller or spread to make them bigger. 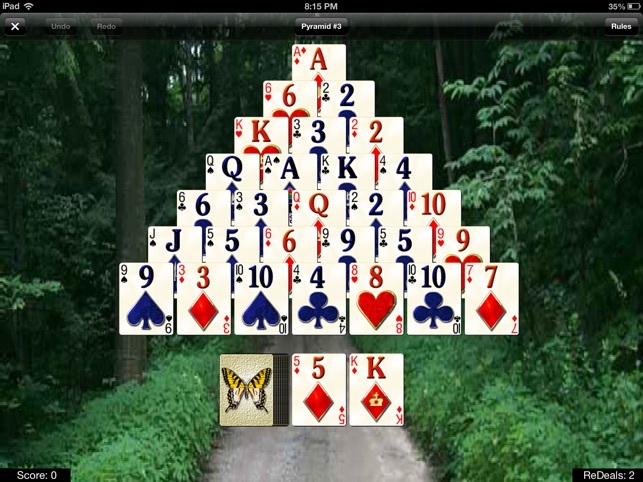 It automatically adjusts card size for portrait or landscape. 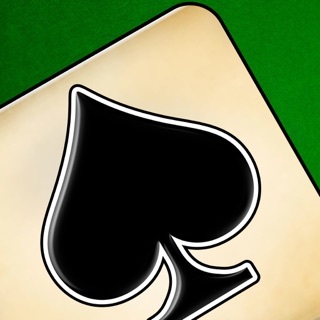 Tap and hold on a pile to get more information about what cards can be played there. 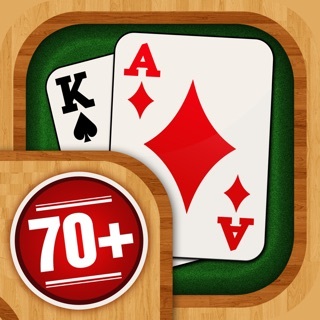 Without a doubt, this is the best solitaire app on the market. 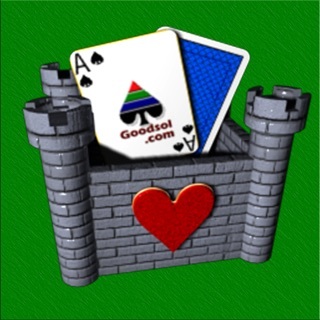 Been playing, and loving, Goodsol on the PC for nearly twenty years...very glad to see it come to the iPad. Thanks Mr. Warfield, you've got another winner! Another one by Goodsol and anything put out by Goodsol is very well made. 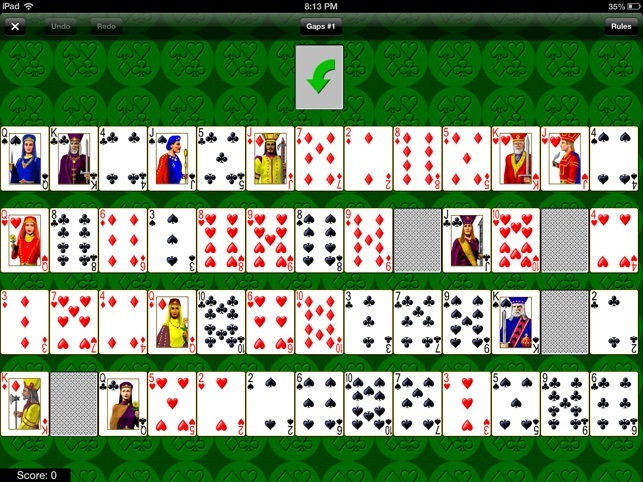 Worth every penny as I have several of these games on my Mac. 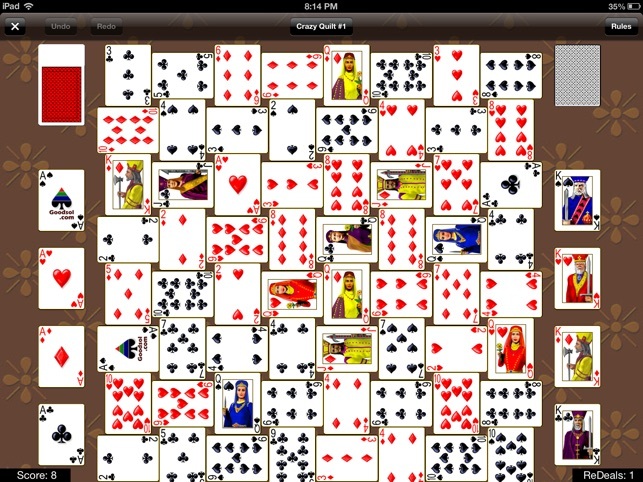 AppZapp Pro informed me of this game and I did not even hesitate on buying it. THANKS GOODSOL!!! A great variety of games, some challenging, some soothing but all well presented and easy to work with. And fun. © 2017 Goodsol Development Inc.